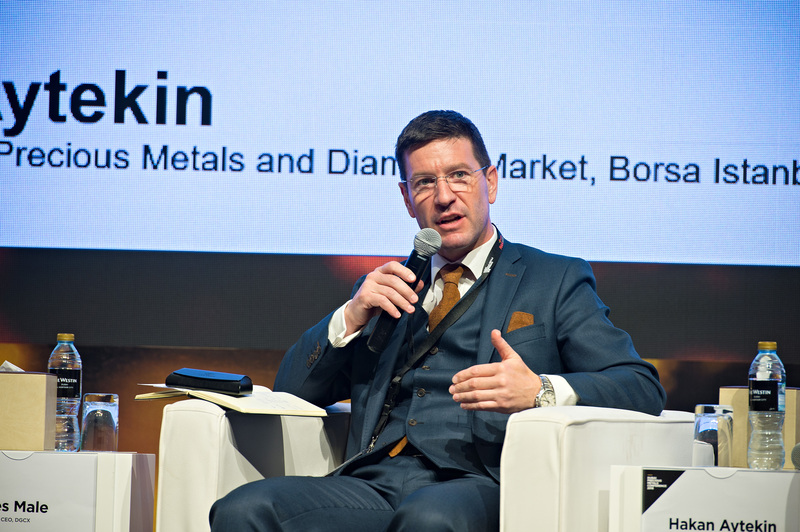 At the DMCC hosted Dubai Precious Metals Conference, four of the world’s foremost Exchanges gathered for the first time in Dubai to discuss ‘The Role and Future of Global Exchanges’. 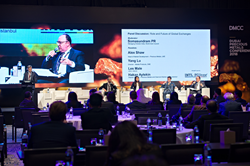 The DMCC subsidiary, DGCX together with invited guests; CME, LME and Boursa Instanbul discussed their views on the role of their respective exchanges on the markets going forward, in a panel sponsored by the Gold trading powerhouse INTL FC Stone and moderated by Somasandrum PR of the World Gold Council. Our main aim is to extend the work of exchanges to work together throughout Asia. Traders are looking for efficiency so that they can work across many exchanges and a have unified clearing house. The DMCC subsidiary, DGCX together with invited guests; CME, LME and Boursa Instanbul discussed their views on the role of their respective exchanges on the markets going forward, in a panel sponsored by the Gold trading powerhouse INTL FC Stone and moderated by Somasandrum PR of the World Gold Council. Numerous topics were discussed, with the overall opinion that co-operation within the sector was key. Les Male, Chief Executive Officer, DGCX, said: "Our main aim is to extend the work of exchanges to work together throughout Asia. Traders are looking for efficiency so that they can work across many exchanges and a have unified clearing house. We want greater cooperation and alliances to give traders added value. More can be done to achieve this and we would like to spearhead it." His view was echoed by the panelists, Alex Shaw, Yang Lu, Hakan Aytekin and Jiao Jinpu. Further discussions on the nature of change that global futures markets have undertaken and continue to undertake included such topics as Electronic Trading, Price Discovery, Visibility, Growth and the evolution of the Spot-to-Futures markets. “There has been extreme pressure on the LME due to regulatory change. That has changed the way of doing business. In this new era of a highly regulated gold market and interconnection between markets, we had banks coming to us for being able to provide the trading of spot and futures positions within the existing Infrastructure. Over the last twenty years trading exchanges have become increasingly reliant on Electronic Trading as trading floors have been closed enabling greater anonymity when trading, whilst the tightening of regulatory oversight as well as the introduction of low latency solutions has helped to drive volumes and increase price discovery amongst international and regional exchanges. After the panel discussion, it was clear the audience attention was peaked with each of the panelists being in demand to answer questions on the various points raised.